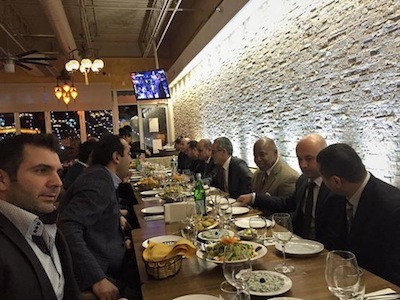 Borough President Eric Adams stated that" I am so happy to be here with you tonight.I know that the number of Turkish Americans are increasing in my borough and I am ready to help you all." He also indicated that He hasnt been in Turkey yet but he is planning to travel to Turkey in the near future. New York Consul General Ertan Yalcin was honored to meet the Borough President and he said " New York Turkish Consulate and Borough of Brooklyn have been working together iver 15 years and the relationship between 2 parties will be more stronger under his new term"